Being a FBI agent can be a rough gig for so many reasons and the worst cases are definitely those that involve one or more family members. Were it up to Erica, the person holding Scott hostage would likely pay the ultimate price, but fortunately – for the kidnapper that is – she has to play by the rules. Doesn’t mean she’s going to though… remaining calm and rational can be hard when the stakes are this high. While the first part of episodic video games often act as an introduction to the world and its inhabitants, slowly building the suspense, The Hangman cuts to the chase immediately. No silly ‘pre-game’ tutorial to teach you the ropes or any of that stuff. Instead, you’ll learn as you go along, by way of tutorial messages and hints, both of which can be turned off should you so desire. I’d say turn the hints off, but leave the tutorial on. The controls aren’t overly complex and the user interface is easy to use, but the game is certainly difficult enough as is, without also having you figure each new mechanic out on your own. See, Erica possesses the ability to see into the past… glimpses of what once were, simply by touching something. 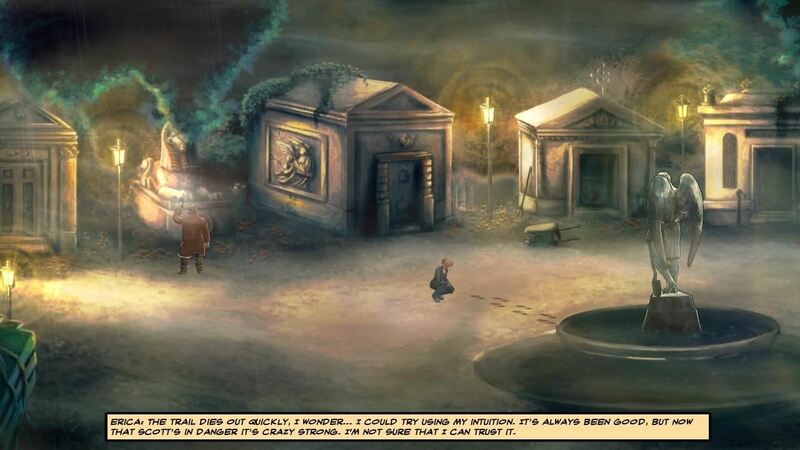 This is where Cognition sets itself apart from other genre entries. Chances are that such an uncanny ability has likely helped her solve many cases during her time with the Boston FBI, but following [spoilers deleted], its use suddenly triggers a massive headache. Considering how incredibly helpful this ability is, headache or not, it can be tempting to use it all the time. Game won’t let you do that though, and my thanks to its creator – Phoenix Online Studios – for that. 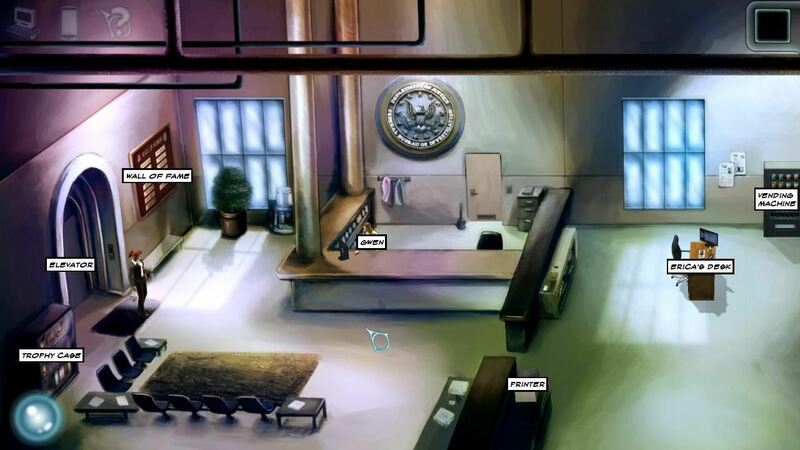 Since the developer has crafted such immersive set pieces for this story, it’d be a shame if players could simply abuse Erica’s ability and rush through it; besides, if you really don’t want to struggle with puzzles, there’s always the hint system. Much as I hate to admit it, this was used more than once as I played through The Hangman. Normally I’d rather figure things out on my own, but some of the puzzles encountered were too obscure for my liking. Maybe I just wasn’t thinking outside the box? Might explain why Erica’s phone has an interactive notepad app. Unless this is your first point and click adventure, chances are you’ve encountered a major genre annoyance known as ‘pixel hunting’. This term describes genre entries in which interactable objects aren’t immediately noticeable, forcing players to click all over the screen. Honestly, it’s a pain in the you-know-what, so it’s a good thing that this one lets you highlight hotspots, simply by holding down space bar. You’ll still come across several cases of Erica going “I can’t do that”, but it does help. Interacting with your surroundings is also noticeably easier than in certain genre classics, as clicking on something pops up a context-sensitive command wheel. It’s simple and it works great. Can’t say the same about character animations though. There were times when Erica would float above an elevator while waiting for it to arrive, or open a door to then exit through the wall. I’ll admit that both did look rather amusing, but they were also a tad bit immersion-breaking. Bugs and glitches aside, the story was still intriguing from start to finish, although the supporting cast could have been better. None of them were roll-my-eyes bad, but John – Erica’s partner – did manage to annoy me. Likely because of his attitude, which made him seem more suitable for a desk job than that of a field agent. Not exactly what Erica needed from a partner, given the circumstances. On the audible side, things were much better. Well, for the most part at least. Sound effects, music and voice acting (if available) has to come together for me to form a connection to the title in question and in this first Erica Reed outing, I didn’t really care much for the music. You may not think that this is a big deal, but believe me, it really is. A properly orchestrated composition goes a long way towards creating a chilling atmosphere after all, and vice versa. It didn’t reach the point where I wanted to turn it off though, but… let’s just say I won’t be picking up the soundtrack. By comparison, voice acting in The Hangman was the exact opposite, as lines were delivered convincingly with just the right amount of emotion. Throughout this adventure, you’ll also be doing some police work, which often involves that unique ability, headaches or not. While most cops and FBI agents can be called upon to investigate a crime scene, their deductions are based purely on what their eyes and gadgets tell them – not so with Erica. Sure, Dr. Gallagher with her fancy medical degrees could probably describe how this and that was the cause of death. But in theory, Erica’s ‘sixth sense’ could show her how the crime happened, as well as the perpetrator’s identity! That said, most detective work is done the old-fashioned way, assisted only by down-to-earth things like computers and smartphones. Going all supernatural and being able to see things no one else can is fun though, and over the 5-6 hour course of The Hangman, this uncanny power evolves. I’m not going to spoil how or why, besides to say that it does make things more interesting, while also making some incredibly complex puzzles possible. These involve revisiting locations, often while in the middle of something, to acquire an object or talk to a specific person. Suffice to say, I could have done without them, as they felt more disjointed than anything else. Didn’t mind the backtracking as much as what felt like unnecessary padding. I get that investigations involve a lot of wandering around, talking to people, gathering information and at times, items. Rather than that, my beef lies with its design. At one point, I had to leave an interrogation several times to acquire items and have conversations to progress. Surely those scenarios could have been structured better? Even if the alternative would be a more linear experience, quite frankly, I’d rather have that. Also, what kind of FBI agent picks up evidence while not wearing gloves? Honestly. But is the combination of a great cel shaded art style, gritty detective story, supernatural elements, an intuitive interface and intriguing world enough to make up for its flaws? 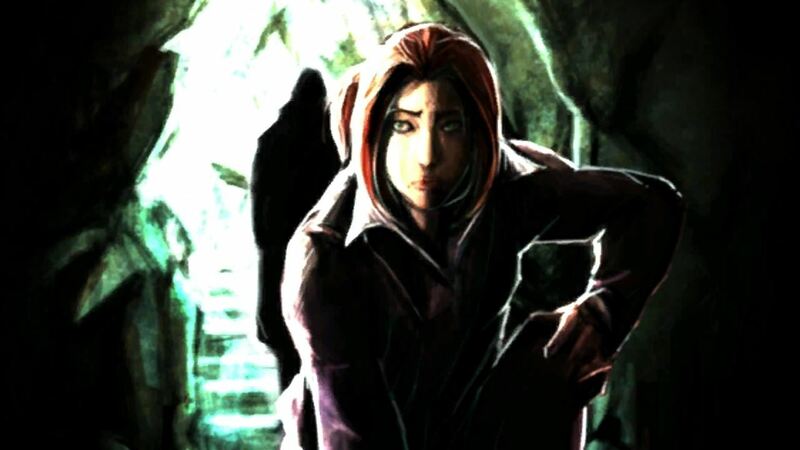 Well, The Hangman may not be perfect and it can be semi-frustrating at times, but in spite of that, Erica Reed’s initial outing still gets my personal recommendation and I can’t wait to see what happens in Cognition Episode 2: The Wise Monkey. 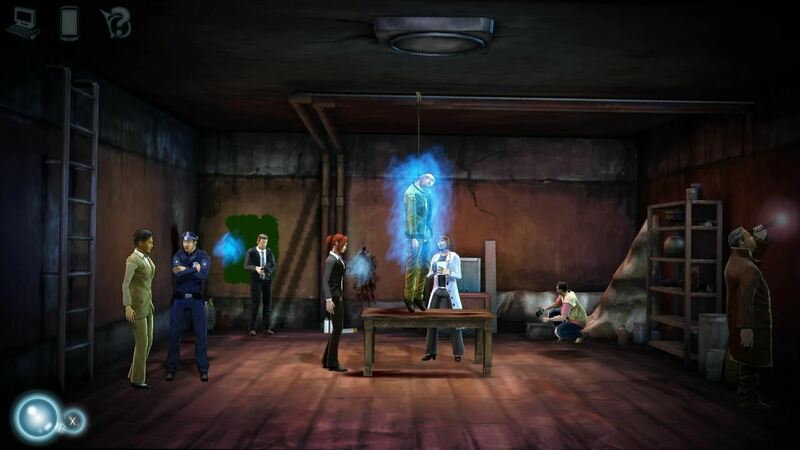 Cognition Episode 1: The Hangman is available from the official website, Steam (reviewed), Desura, GOG.com and GamersGate, among other places.